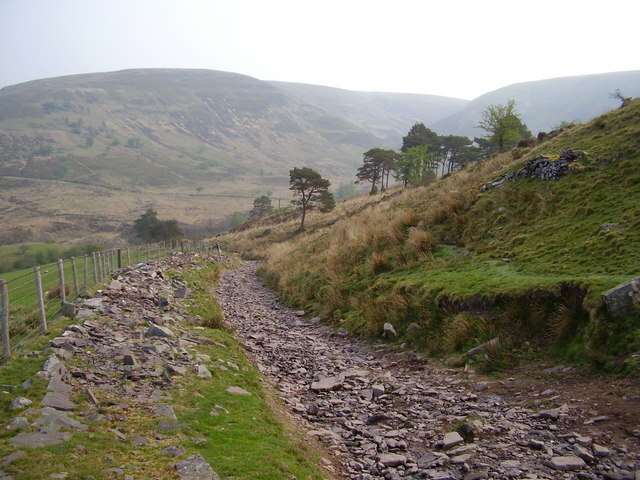 Known as Quintilis before Julius Caesar modestly renamed it in his own honour, the month of July is a fitting time to consider one of the most striking features of the British historic landscape, the Roman road. Although there are about 2,000 miles of them shown on Ordnance Survey maps, estimates of the total length of the network, including presumed minor thoroughfares undiscovered and skulking under fields, suburbs and industrial estates across Britain could expand it to around 6,000 miles. They were built as logistical tools of empire, to move legions and supplies at speed and, it seems in some cases, to scare the willies out of the locals; Ackling Dyke on the chalk upland between Martin Down and Blandford Forum strides out across the landscape on an overstated, six feet high embankment that shows utter contempt for the barrows, dykes and cursus it merrily ploughs through. The bank – or agger – of the road, though exaggerated, is of a typical layered construction; indeed, the latin word for layers, strata, gave us the word street, an Anglo-Saxon place name often found along the course of Roman roads. Stretford, Stratford, Stretton, Street and their ilk are common names of settlements found along the way, while the Norse word for road, ‘gate’ – particularly when used with ‘stone’ or its derivatives Stan, Stane or Stoney – might also indicate the course of a Roman road. In Europe the maxim holds that ‘all roads lead to Rome’ while in Britain, they tend to radiate from London. The Fosse Way – between Exeter and Lincoln – goes against the grain, however, and may have even started as a defensive structure during the early years of the invasion, then adapted later as a road and an enduring one, to boot; much of it survives as a taut thread of primary and secondary routes through a tangle of English country lanes. Despite their reputation for straightness (between Ilchester and Lincoln, a distance of 180 miles, the Fosse Way never deviates more than 6 miles from the crow’s flight) pragmatism forced Roman architects to make more concessions to the landscape over time and the Roman road eventually learnt how to bend. Stanegate, which crosses the Pennines south of Hadrian’s Wall between Corbridge on the Tyne and the Solway Firth, is one such winding road. It connects at Corbridge with Dere Street, the most easily traceable Roman route into Scotland, running all the way to the Forth Estuary. Given that there’s evidence of Roman activity as far north as a line from Stirling to near Stonehaven and claims of a fort at Inverness, there are likely to be many more roads found, long-forgotten, on the outskirts of towns or hidden in the remote straths and glens of Caledonia.